Saturday, November 23, 10:00 a.m. – 5:00 p.m.
some with historical significance and some with legendary interest. 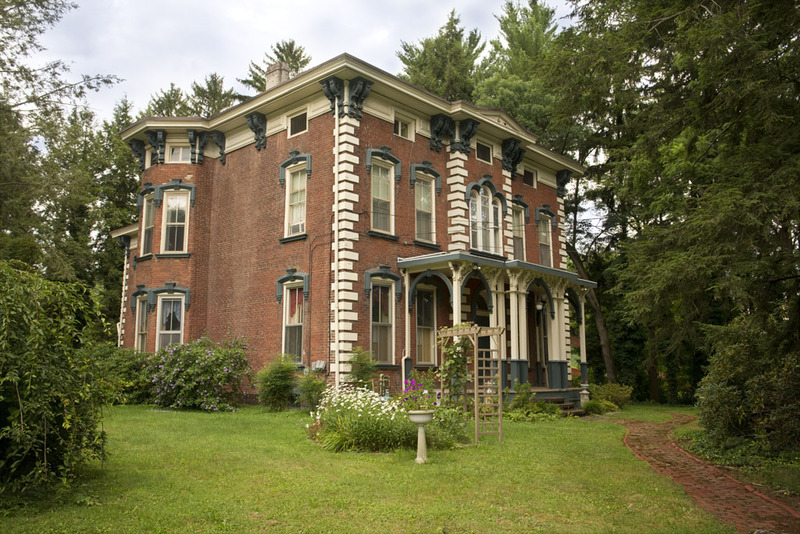 The Youngman estate with its 24-room brick Italian Villa style mansion was built as a summer home in 1865 for George Washington Youngman, his wife, and nine children. The sun-dried bricks used in construction were made on the property. Characteristic of the Italian Villa style is the overhanging roof, bracketed eves and quoin corners as well as the ornate moldings above the windows. 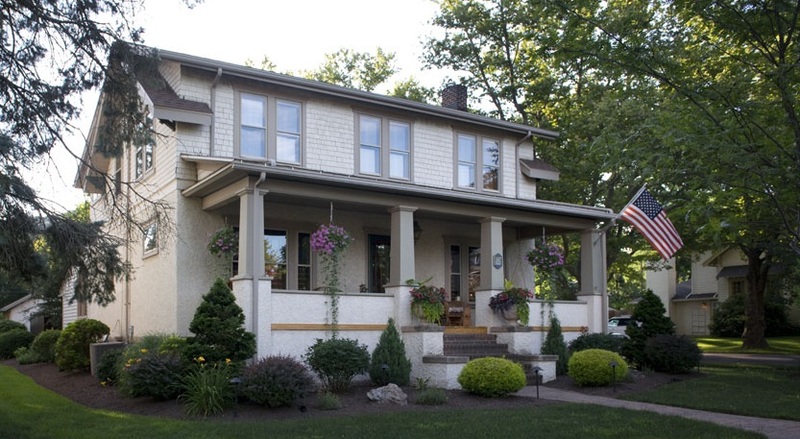 The porch is original and is one of the few remaining in Williamsport which exemplifies the Italian Villa style. The front door leads into a center hall with large, high ceilinged rooms and interior folding shutters protecting the windows. Note in this house, one will see the remarkable talents of Samuel Dornsife, the world renowned interior decorator from Williamsport, PA. 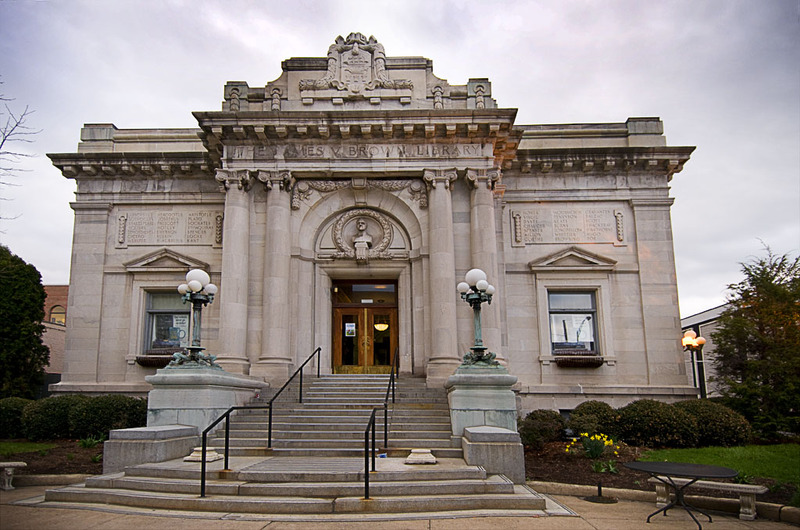 The James V. Brown Library was a gift to the city of Williamsport from James Vanduzee Brown, a prominent citizen who made his fortune in lumber and grain mills, and was instrumental in the founding of the Williamsport Municipal Water Authority. The Library was designed by Edgar V. Seeler, and opened to the public on June 18, 1907. Entering through the Fourth Street foyer, visitors encounter the marble statues of Ruth and Beatrice Portinari which were part of Brown’s personal collection. The magnificent Moltz Rotunda Reading Room is part of the original structure, and contains the stained glass dome skylight and recently installed wrought iron gazebo. The Rotunda will be decorated for the holidays with a Victorian style tree and garland. One of Williamsport’s oldest standing historic structures, the Reighard House was constructed circa-1840 in a federal style, but was later modified to its current Flemish gable-style architecture. 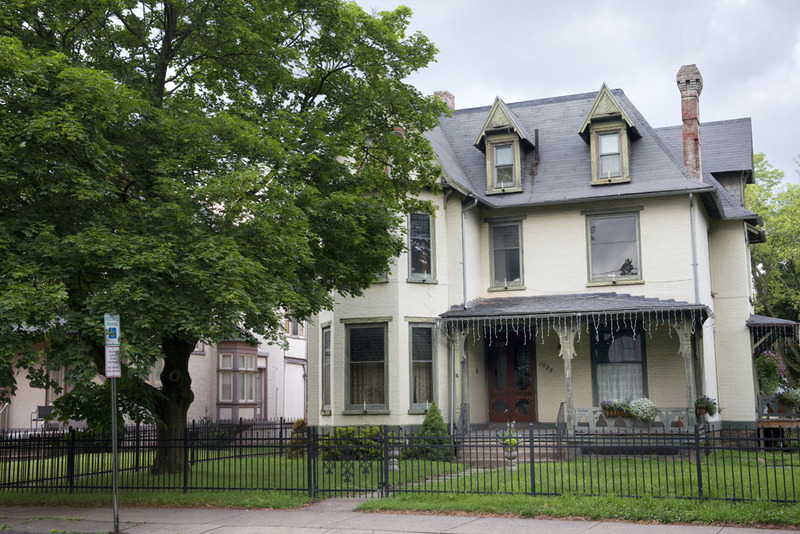 Located in Williamsport’s “Little Italy” neighborhood, the home was owned by Giuseppi and Fortunata Biffarella and then Domenico Cuzzupi, before sitting vacant for the past decade. 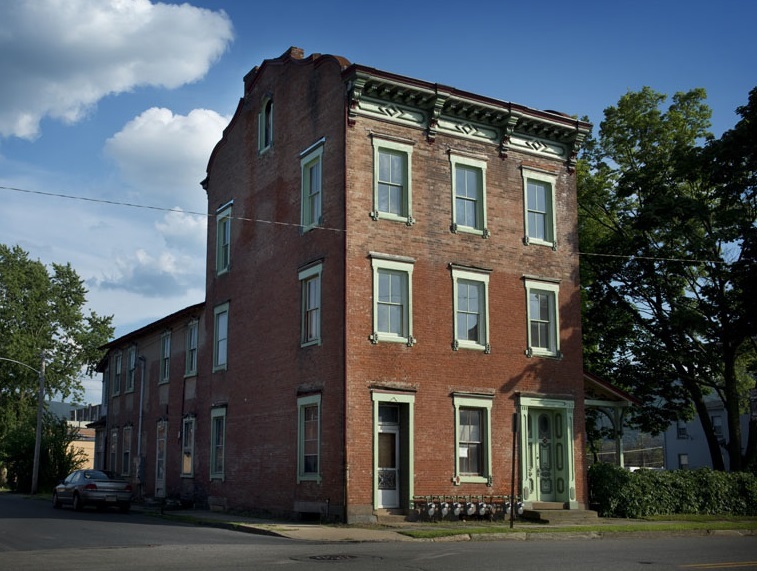 Purchased in 2008 by Jonathon Kohr of Old City Restoration, the house is in the midst of massive interior and exterior restorations allowing visitors a unique opportunity to see the bones of a beautiful historic building and partially restored spaces. 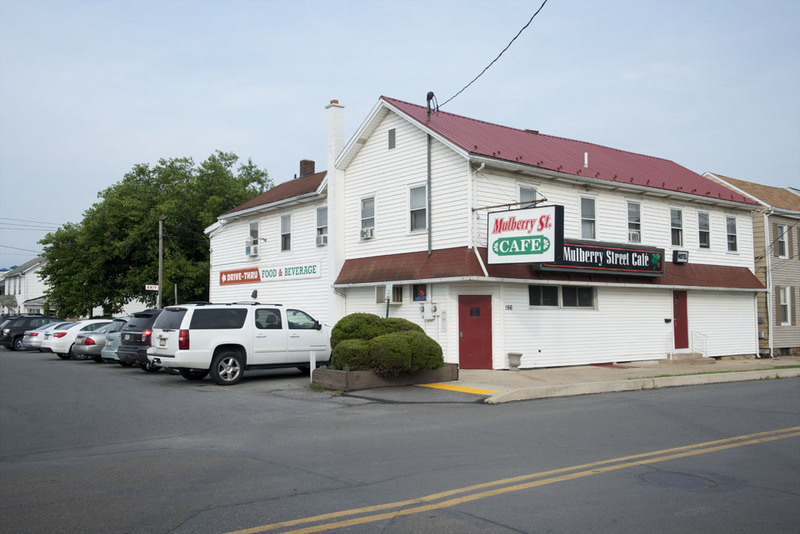 When originally built as the “Second Ward Hotel” in approximately 1864, The Mulberry Street Café was the second oldest hotel in Williamsport. Lumbermen and canal workers often visited this establishment due to its close proximity to both the West Branch Canal (now Canal Street) and various lumber mills. The cellar once served as a stop point for the “Underground Railroad.” Today the cafe houses a bar and restaurant on the main floor and hotel rooms upstairs. This is one of the few remaining blocks in the Italian neighborhood. Come hear about the history of Williamsport’s “Little Italy” while enjoying a small “taste of Italy”. 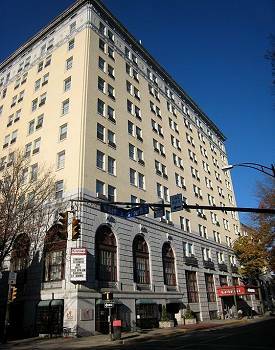 The Genetti Hotel, originally named the Lycoming Hotel, was built in 1921. On the opening day at noon, on Wednesday, June 21, 1922, Edgar Munson, representing the Board of Directors, raised a large American flag to the flagpole on the roof 192 feet above West Fourth Street. The Genetti Hotel’s elegant atmosphere has attracted many notable guests. Among the hundreds of celebrity visitors and overnight guests were Gene Kelly, Clarence Darrow, Rita Hayworth, Carl Sandburg, Bob Dylan, and dozens of politicians including Robert F. Rich, John G. Snowden, Governor Edward Martin, Alvin Bush, Robert Kennedy and Tom Ridge. Victorian Christmas tourists are welcome to walk through our historic hotel lobby and take-in our beautiful Christmas decorations. Architecturally, this 1904-1905 turn of the century townhouse straddles the late Victorian and early Craftsman styles with its curved staircase, period woodwork, stained glass, and decorative elements still intact. For fifty years it was the office (and later the home) of Dr. Cipolla, a physician and surgeon renowned for his skill, generosity, and kindness. Dr. Cipolla’s large fig tree in the courtyard has contributed many scions which have become fig trees planted throughout the city. 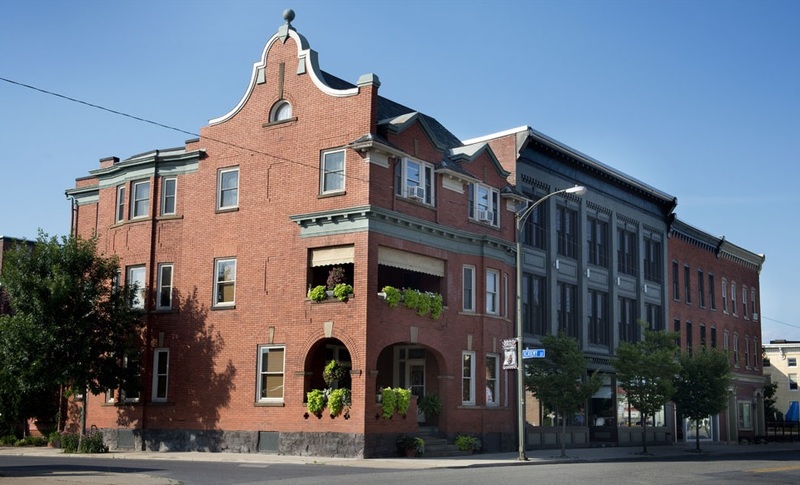 The current owners are artists who love the house and love living in “Old City” Williamsport, originally the Italian neighborhood. 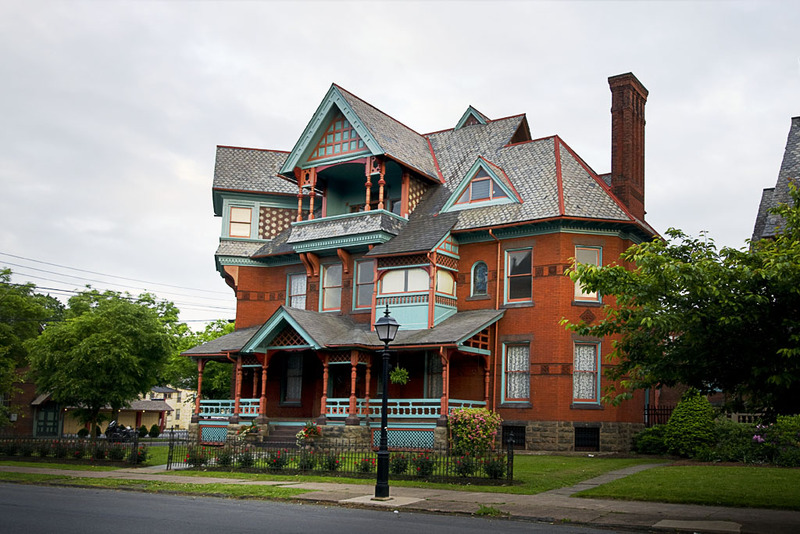 This late 1880s Queen Anne Style Victorian home, designed by Eber Culver, was the residence of Hiram Rhoads – the man who first brought the telephone to Williamsport. Among the home’s many features are the front doors with an unusual stained glass design, the hand carved mahogany wainscoting and winding staircase which dominate the large center hall, solid pecan flooring throughout the first floor, five fireplaces, upstairs bathtub encased in mahogany, ornate gilded bronze hardware, and the most magnificent chandeliers in Williamsport. The gourmet kitchen with its handsome tiles has been featured in “Victorian Kitchens & Baths” book and “Victorian Homes” magazine. This superb 1888 Queen Anne three-story brick mansion was designed by Eber Culver and is one of the most magnificent remaining examples of the craftsmanship and quality which exemplified “Millionaires’ Row.” Nothing was spared by multimillionaire Edwin A. Rowley from the elaborately carved staircases, fireplaces and exterior wood friezes, to the completely intact gasoliers with cut glass globes, and numerous Tiffany stained glass windows. 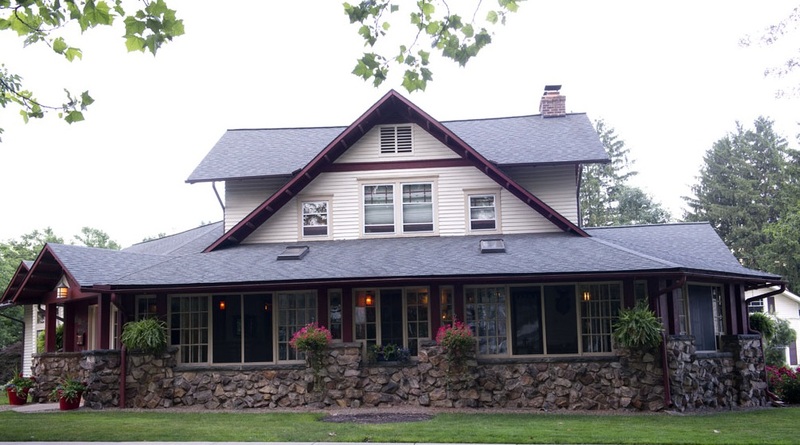 The cornerstone for the majestic home of the local YWCA was laid in 1928, after a dedicated team of women raised $450,000 for construction in a mere five days. We invite you to marvel at the beautiful rotunda, decorated by Marguerite Bierman – accented in gold leaf, a dazzling crystal chandelier and breathtaking colors. The Art Guild will feature some of the finest artisans showcasing work which will be available for purchase. My favorite toy… For the holiday season, the Thomas T. Taber Museum of the Lycoming County Historical Society has assembled the favored childhood toys of Lycoming residents. The exhibit which opens on the day of the Preservation Williamsport annual house tour will be open for your viewing pleasure through Saturday, January 18, 2014. In addition to toys loaned to us by members of the community, toys from our permanent collection, including a bicycle owned by a member of the Casale family of Williamsport, will be on display. 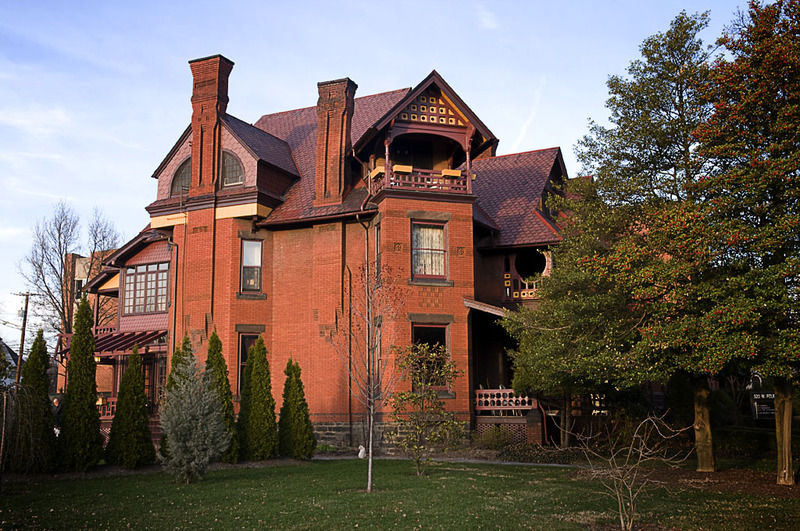 Mainly Gothic in style but possessing various other stylistic elements, the Charles Coburn Mussina home was designed in 1881 by Architect Isaac Hobbs and Son of Philadelphia. A majority of the rooms feature exquisite stained glass windows from the Keystone Glass Works in Philadelphia. Also of interest are the tiles surrounding the east living room fireplace, which depicts scenes from Sir Walter Scott’s novels and the ornate walnut and maple banister leading to the second floor. In addition, there will be several of the homeowner’s personal Nativity Scenes (crèche) on display. This red-brick, center hall colonial was built in 1938 by Frederick and Edith Heim in what became one of the finest neighborhoods in Williamsport. As president of the Williamsport Savings Institution, Mr. Heim insisted the home was built with the finest materials which included solid oak and pegged hardwood floors, a grand center hall staircase, crown molding in every room, and a large fireplace in the 35-foot long living room. This 1918 home developed by Vallamont Land Co. was the residence of Charles Spring until 1945 when it was sold to Frank Anthony Bennardi and Evelyn Anastasia Bennardi. 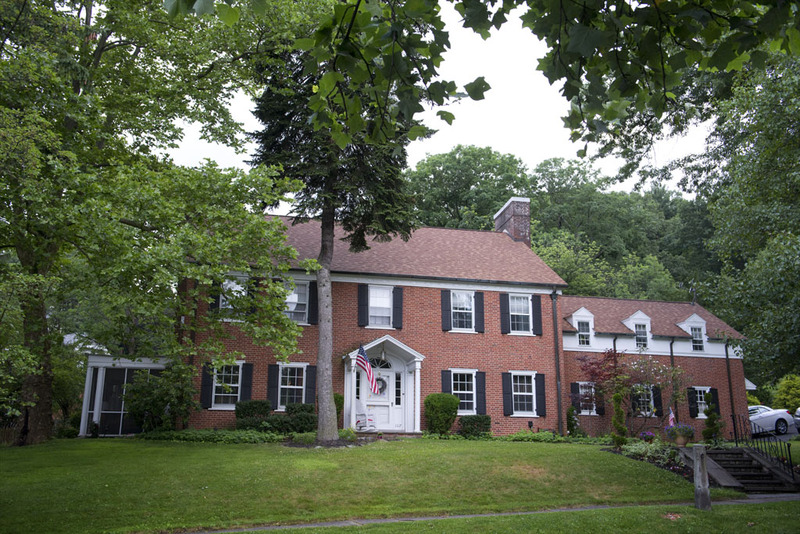 In 1969 the Bennardi’s niece, Gloria Anastasia Peters, and her husband, John Peters, purchased the home from Evelyn Bennardi after the death of Frank. The Peters lived in the home 12 years, sold it to Tom and Peachie O’Connor, and then bought the Maneval home on West Fourth Street. Today the homestead remains in the family with owners Tom and Peachie (Bennardi) O’Connor, who was born and raised in this house. In 1982 a fire destroyed a great deal of the home’s structure but it has since undergone reconstruction and restoration. Note the oak and chestnut trim and colonnades which line the entrance foyer, the beautiful built-in china cabinets, and the solid oak hardwood floors. Designed in compelling Arts and Crafts architectural style, this home features beautiful chestnut beams and woodwork. A mid-1900s chestnut blight destroyed most of the magnificent American chestnut trees which makes this house and its woodwork so rare. Enjoy the 6-foot ceiling-to-floor doors in the 30-foot living room which leads to the handsome 64-foot stone porch wrapping around the front and sides of this home. Although not original to the house, take note of the beautiful stained glass panels which hang from the windows. First Presbyterian Church (10 a.m. – 4 p.m.) Built in 1883 at the corner of Mulberry and East Third Streets, the First Church of Williamsport (as it was then known) has a rising ceiling vault of 35 feet supporting magnificent bejeweled glass windows, some predating Tiffany Studios of New York. The 4-Manual Austin pipe organ was installed in 1925 and will be played during a concert from 2:00 p.m. – 3:00 p.m. In 1995, local artist Marguerite Bierman brought renewal and vibrancy to the sanctuary’s carvings, columns, brackets, and luminous Tiffany Cross. Craft items will be available for sale. First Baptist Church (10 a.m. – 5 p.m.) This Romanesque church was designed and built by Eber Culver on land donated by Peter Herdic around 1860. After being destroyed by floods, the original building was torn down in 1898. A new church was built in 1914. The mountain stone was quarried in this area. Note the Tiffany Windows. 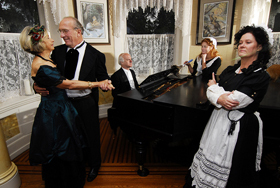 Tours, a craft fair, and a food court will be available throughout the day, from 10:00 a.m. – 5:00 p.m.
Temple Beth Ha Sholom (10 a.m. – 4 p.m.) Be sure to visit us during your Victorian Christmas Tour. Temple Beth Ha Sholom was dedicated on September 3, 1904, not long after the end of Queen Victoria’s reign. 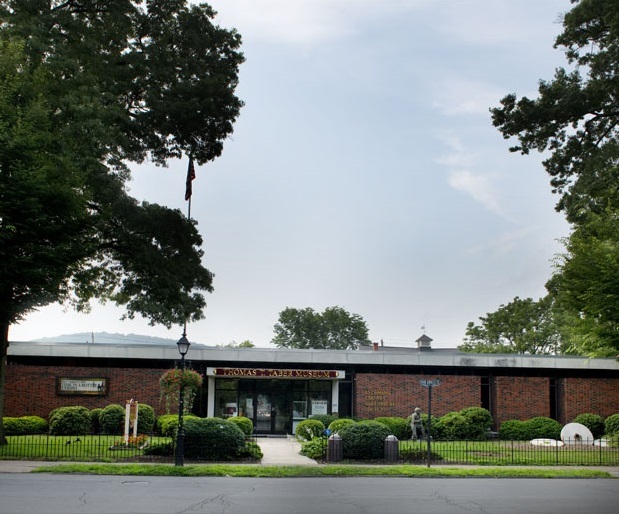 Approximately once every hour we will be giving a short presentation on the history of Reform Judaism in Williamsport, a tour of the lovely sanctuary including our refurbished stained glass windows, and a brief explanation of fall and winter Jewish holidays and festivals. Light refreshments will be offered. All are welcome. 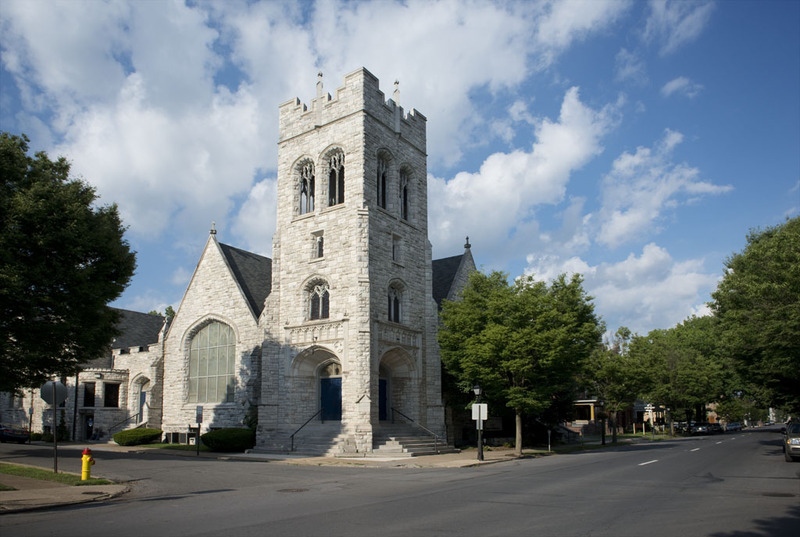 Christ Community Worship Center (10 a.m. – 5 p.m.) Originally Church of the Covenant and more recently St. Paul’s Lutheran Church, this limestone structure has a center spire, bell tower, and steeply pitched roof with stone finials. The windows are pointed and arched. It has the largest expanse of Tiffany stained glass in North Central Pennsylvania. Note the arched entryway with decorative insets. Musical presentations in the sanctuary, the craft fair upstairs and the food court will all be available throughout the day beginning with breakfast. 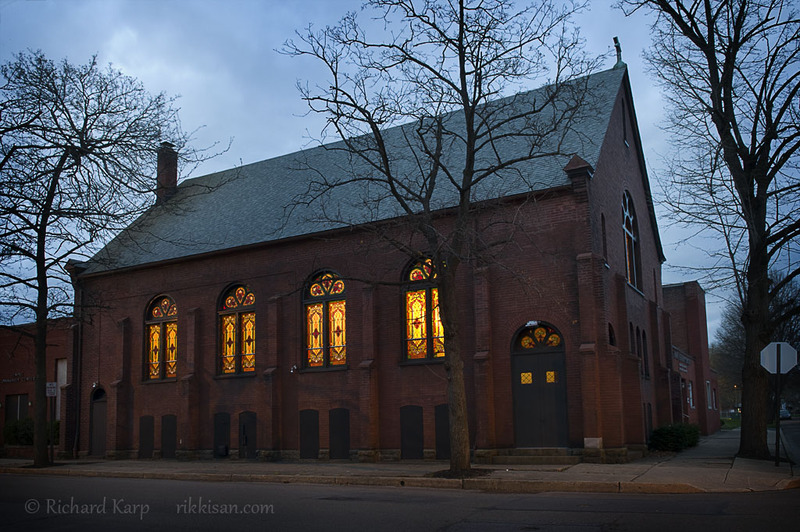 St Joseph the Worker Parish (9 a.m. – 3 p.m.) Built in 1886 by Amos Wagner on land donated by Peter Herdic, the Romanesque style church was built to service the Irish community. The stone came from the nearby town of Ralston. The church seats 1,000 people. Note the use of marble and gold. The Parish will host an Italian Memorabilia exhibit, a craft fair and food court throughout the day. 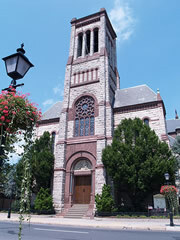 Trinity Episcopal Church (10 a.m. – 5 p.m.) Built in 1875 by Culver and Thorn, the church was paid for by Peter Herdic, who donated both the land and the building to the parish. 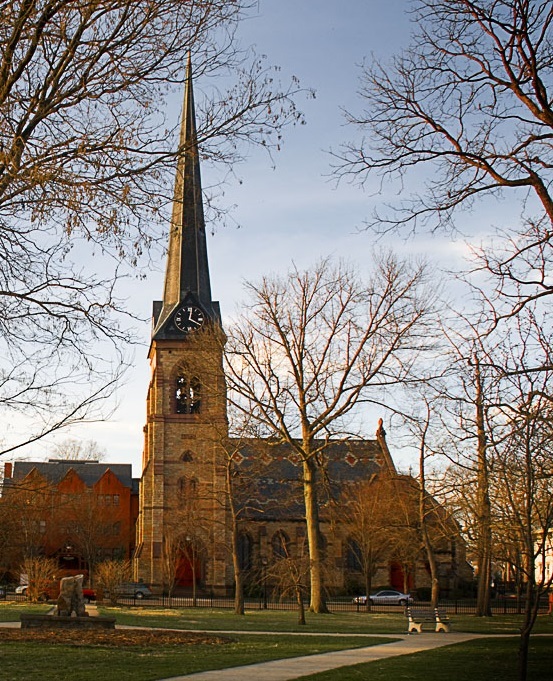 His father-in-law, Judge Maynard, presented the church with a set of Westminster chimes. 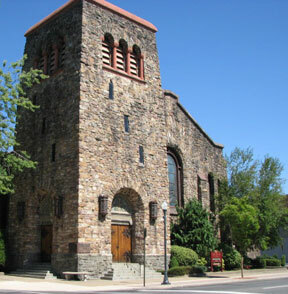 The church is an example of English Gothic architecture and contains stone quarried from Bald Eagle Mountain. A soup and dessert lunch will be served from 11:00 a.m. – 2:00 p.m. The trolley will be available from 10:00 a.m. – 5:00 p.m.
See the Brochure map for trolley stops (TS).